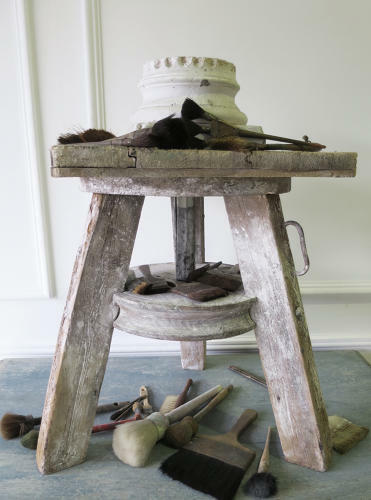 Early 19th century French Sculptor's Stand with swivelling top and a forged iron handle. Just the right height to make the perfect side table if you weren't in the mood to sculpt! *Brushes not included!